The perfect follow-up post to my 10 tips for preparing for family photoshoots is a giveaway to get your holiday cards, am I right? 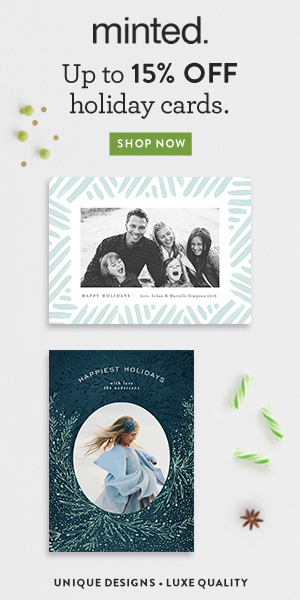 This is the fourth year I’ll be getting my holiday cards from Minted, and this year they have some even more fabulous designs. I’m especially loving their gold foil designs and the holiday cards for newlyweds. Don’t have a photo yet? 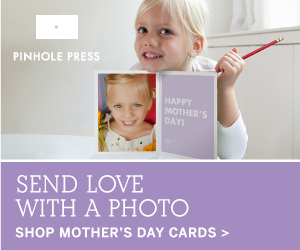 No problem – Minted let’s you design and buy the card (which means you can take advantage of a great promo) and then upload your photo when you’re ready. Or they have some really cute designs that skip the photo design altogether. You have until 11:00 pm on 11/14 to enter. Good luck! And don’t forget to read my 10 tips for preparing for family photoshoots to get ready – they’re helpful for engagement shoots too!